The modern world of the high technologies never stops. Nevertheless, the trees also play an important role in our life. People, who live not far from the forests, or in the forests and big gardens, are strong physically and psychically. We all need trees to change the climate for better. Everybody wants to spend more time in the favorable pleasant environment. More and more people try to build up their creative houses on the trees, using them mostly for the hotel places, restaurants, offices. This is not a dream any more, but reality. Here are the most popular of them! The motherland of the treehouses is America. They became popular in 1990. It happened because people were interested in making their homes highly ecological. The biggest treehouse in the world is 5-storeyed building that is 29 meters high. The building is located in Crossville. 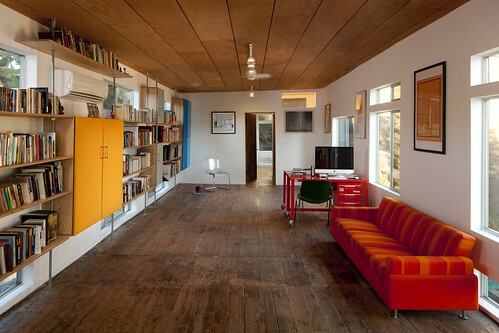 The project of the house was created by the famous landscape architect Burgess. The idea to build up the house came in 1993. It took about 14 years to implement it into life. Finally, the grandiose house was constructed! The building occupies the territory about 929 square meters. It is made of the clean wood. What is inside of it? There are about 80 rooms here with the elegant interior, high glassy ceiling, design furniture and interesting decorations. 7 old oaks were used to be the natural structural support. The house is one of the main city attractions in Crossville. What is more, this amazing creature was included into the Guinness Book of World Records. Chene d’Allouville is one of the oldest treehouses. The name of it is read as the oak-chapel. This unique building is situated in France. Nobody knows how old it is. It is more than 100 years. The oak tree is definitely the oldest tree in France to be the historical monument. The legend says that the tree was planted in the year 911. The other sources affirm that the oak is much older. One way or another, the tree was half-damaged with the big storm in 1912. 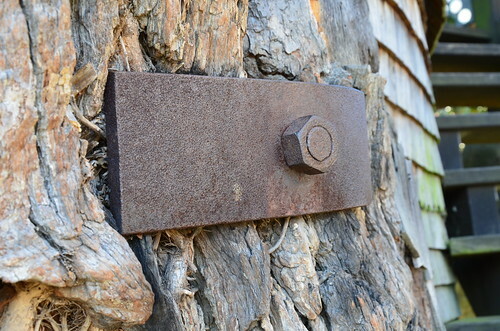 People decided to use special metal construction to save the tree. This is the unique historical monument now. There is the group of people in the deep of the jungle of Costa Rica who prefers living in the treehouses on the top of the trees. The tribe is called FincaBellavista. The unique houses are constructed just on the crowns of the trees to be connected with the ladders and bridges with each other. The village on the trees occupies about 1,2 square kilometers territory of the tropic forest. It was founded by Americans. They wanted to hide away from the civilization. Everyone could buy a house here or build it on one of the numerous trees. It still attracts lots of new citizens and new travellers. The houses are pretty comfortable. You can find here everything you need for comfortable living: living room, kitchen, small charming swimming pool on the territory. The electricity is produced by the solar batteries. So, you can use the hot shower and Wi Fi. There are two rivers on the territory of the tribe with the crystal clear water and the numerous waterfalls. There is a small town not far from the forest and the ocean close to it. Why do you need that? People try to stay close to nature, in peace and silence. La Casa del Arbol is a small house of Ecuador. The building was constructed by the local inspector of the seismic station at the very scarf of the canyon at the top of Tungurahua Volcano. This is the right place for all extreme lovers. Of course, the treehouse is very plain and simple. You cannot see anything special here. The greatest attraction of it is so-called Crazy Swing. They are placed on the very scarf of the rock, 2600 meters high! The swing is made of the big metal balk and rope. Tourists like visiting this place. Locals also like spending time here. This is your chance to fly over the rock with no safety nets to enjoy the volcanic view. When it wakes up, the view is especially beautiful. The territory around is covered with the hot steam. 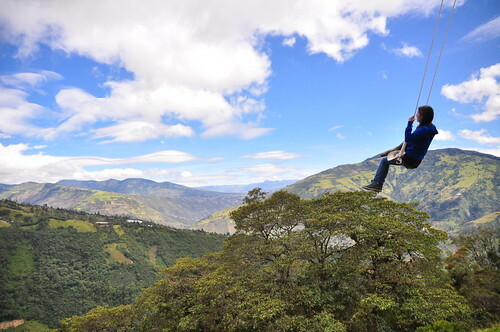 Locals say that you are swinging like in the clouds. The architectural bureau Baumram is specialized in interesting projects with the aim to protect our environment, ecology. There is a good practice to build up the treehouses. The project is conducted with the Sappi Initiative Company and the International Communicative Agency Proximity. 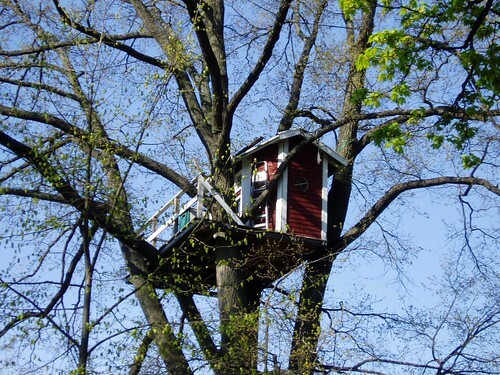 The first ecological treehouse was built in the little Belgium town Hechtel-Eksel. You may hire a car in Brussels to get there in an hour. The treehouse is a perfect place, where the partners can meet together to discuss the problems of ecology. The main idea of it was the roll of paper, where the inner and outer surfaces meet each other. The house consists of two blocks, situated on different levels with the terraces and the central ladder. About 19 steel columns hold the house above the ground. It is made with no cement and minimum nature danger. The low level has the rest room with the kitchen, WC and office. The upper level contains the elegant conference hall that is the heart of the treehouse. There are many soft benches. There is special equipment to heat the house and air it. The underground pump gives you the hot air in winter and cool air in summer. It is also used the light diodes with the minimum energy intake. Oh, you can easily make something interesting in your country or your garden. It must not be a house, but the green alcove, guest house, play zone. This is a chance to implement your dreams into life. This is also a chance to plan your house and garden area. Try to take care of your environment.